As the New Year approaches and the planets realign, it has become a tradition for us to make a resolution and bring about a positive change in our lives. Very often, the same resolutions are recycled year after year. Some individuals strive to lose weight, exercise more, and maintain a healthier diet, while others intend to work less at the office, spend more time with the family, go on a vacation, or simply engage in more activities that they are passionate about. It has also become a tradition for these resolutions to fail within the first few weeks, at least. Whenever someone shares his or her New Year’s resolution with Dino, he often laughs it off by responding with a sarcastic “Good Luck!”. This is because he knows that the resolution has not been developed through any concrete thought or planning. A resolution to bring about a positive change in life requires dedication and effective planning – failing to plan is planning to fail, and this is usually the case within the first few weeks of the New Year. 2012 is the year to re-invent ourselves and successfully achieve the resolutions that we have set. 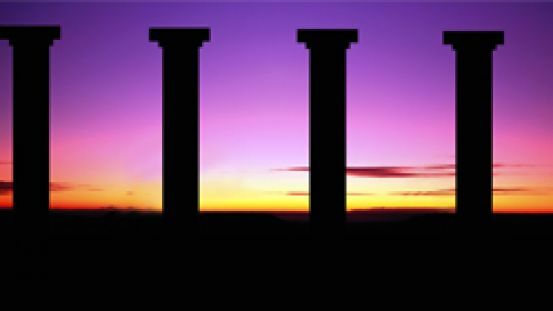 The following are four pillars that will build our foundation so that we can manifest the change that we desire. 1. A 30-Day Resolution – Replace the resolution for the year with a resolution for 30 days instead. The probability of following through a 30-day resolution is much higher than one for the year. We often get discouraged by the idea of maintaining a routine for the entire year and doubt our ability to be successful due to the overwhelming feeling. A solution for this is to break the resolution down into short intervals. For example, it may seem difficult if we intend to lose 12Kgs during the year, but it becomes much easier if we strive towards losing 1Kg per month instead. 2. Track the Progress –A majority of the resolutions are left incomplete because we do not see immediate results or monitor the progress. Tracking the progress also builds momentum and encourages us to continue further. Create a spreadsheet in MS Excel or use a notebook or white board to schedule and track the progress of the resolution. In addition it is also important to schedule time for unexpected circumstances and offer ourselves flexibility incase we choose to take a temporary break. 3. Delay the Gratification – Curb the urge to announce the resolution to everyone. We typically do this for one of two reasons. Either to inform our friends to monitor us incase we slide, or for the praise and applause for choosing to embark on a new challenge. A resolution requires sincere dedication, and an occasional word of encouragement from a friend will not suffice, this is why it is necessary to track a progress on a chart or notebook. On the other hand, if we share our resolutions with our friends to enjoy the praise, acknowledgement, and applause, our motivation to strive will eventually fizzle away, since the acknowledgment of the potentially successful resolution will gratify us instead of empowering us to follow through the entire plan. We must be silent about our resolutions in the beginning and allow the results to speak for themselves. 4. Cultivate Willpower – Willpower is like a muscle in the body and must be exercised in order to get stronger. As we follow the three pillars above and begin to see the results, we will be more motivated to stay on track. We will enjoy the inner strength that we receive and discover new ways to explore our capacities further. However, we must remind ourselves that even though willpower is like a muscle and will strengthen through effort and resistance, we must refrain from over practicing this self-restraint. It is most effective to set a maximum of three resolutions at a time in order to avoid willpower depletion. Dino suggests that we celebrate and usher in the New Year with all its glory and not to deprive ourselves in order to follow the resolutions. It is advised to wait until the confetti settles, the alcohol in our blood has cleared, the carbohydrate levels in our bodies have normalized, and finished commenting on all the photos on Facebook before we begin to work on the resolution. There is no rush to get started as we are only competing with ourselves. It is imperative that we make a clear plan and then follow it with dedication and enthusiasm. Dino wishes the readers of this blog a prosperous and healthy 2012. As this year comes to a close, Dino would like to take this opportunity to thank all the readers of this blog for the support, encouragement, and feedback. 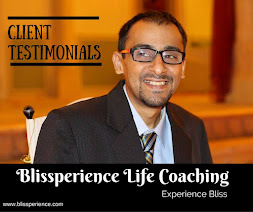 Dino is pleased that the insights presented in this blog inspire or empower the readers, while giving them the opportunity to question their own belief systems. 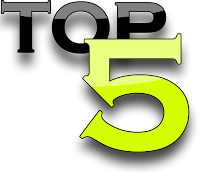 Dino will post more frequently on a wider range of subjects next year, but before we move on, here is a round up of the Top 5 most inspiring blog posts of 2011. 1. Everybody Loves Samosas! – Dino teaches us how to make a different kind of Samosa. Watch Now! Dino wishes all the readers of this blog a Prosperous and Healthy 2012.